Welcome to the start of my weekly Red Sox column. This week was an interesting week. We started the week with losses in which we struggled with RISP. Something was off with our lineup, whether it was injuries or just a bad night. Speaking of injuries, we’ve also seen Travis Shaw (who’s back) and Chris Young go down. We also will look at Brock Holt and Ryan Hanigan’s rehab. Lastly, the ASG Voting ends in 7 days, and there’s a lot of good news for the Red Sox. Let’s dig in to this week’s top stories and I’ll tell you what I think. Both Brock Holt and Ryan Hanigan have began rehab assignments. Holt was cleared on Monday for rehab and has been in the Triple-A-Pawtucket lineup. Holt is 5 for 15 in Pawtucket so far, and was held back due to being ejected on Thursday night for arguing balls and strikes. He was originally expected back at the end of this past week but may need a few more rehab games now. Hanigan has went 2-9 in 3 games at DH. He will not be ready to play catcher until later this week. Holt and Hanigan have been missed, especially with Chris Young and Blake Swihart also nowhere near rehab for their injuries. Chris Young was placed on the 15 day disabled list following Thursday’s game with a pulled hamstring. 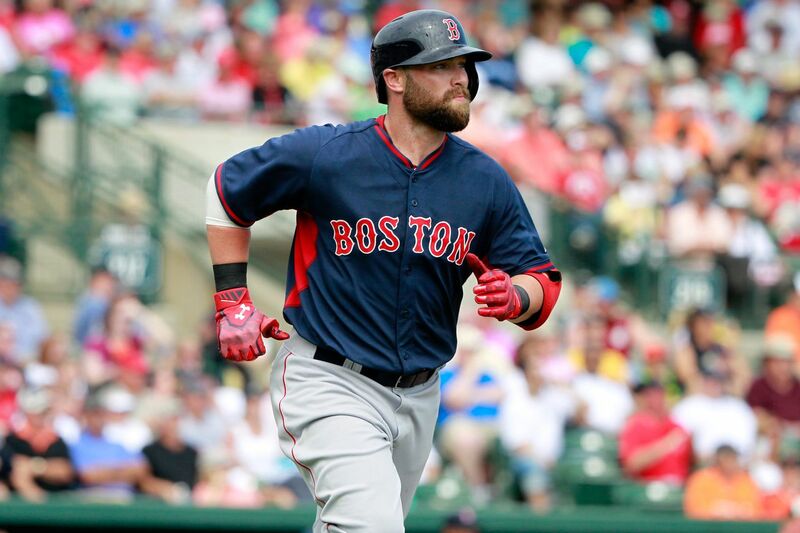 Bryce Brentz was called up from Pawtucket. Until now, Brentz did not have much MLB experience, just a few games at the end of the 2014 season, but this time, Brentz has performed a little better, including 2 nice saves in the outfield before getting creamed by the Rangers offense last night. Personally though, I don’t think Bryce Brentz should’ve been the one called up. Brentz has been in our system for a few years now, and besides during injuries or in September, he has not been called upon. This is because he hasn’t been able to prove that he tops other players. Sure, we don’t have many other options right now. Rusney Castillo escaped the waiver wire after going unclaimed, but his inconsistency clearly isn’t worth the money and he was optioned outright to Pawtucket. What about Andrew Benintendi? I know, they don’t want to rush him but why not give him a try? He is a highly anticipated prospect who as actually made progress, especially more than Bryce Brentz. I may be wrong if Brentz keeps this up, but as of right, I would give top prospect Benintendi a chance. With Ryan Hanigan inching towards his return, the Red Sox have a big decision. A month ago, this discussion would be off the table. Is Sandy Leon going to stay in the majors. Leon has hit over .500 after hitting under .200 for the rest of his career. Leon suddenly is a catcher that you want pinch-hitting every other day he doesn’t start. The Red Sox can either keep Hanigan down (not likely), send Leon down and give up on him, or keep 3 catchers on the roster and send a reliever or bench player down. I think keeping 3 catchers is the right way to go. They need the bench depth, and they can option an unnecessary 8th reliever down. Leon has put up stellar numbers at the plate, and it would be helpful to have him pinch hit for Vazquez and Hanigan, who would switch off starting. The Red Sox lineup has been hot all year. Whether it’s Big Papi showing flashes of greatness, the Killer B’s working their 5-tool abilities on opposing pitchers or an unexpected player having a strong night, there’s always someone active in this overpowered lineup. Right now, Jackie Bradley Jr., Xander Bogaerts, Mookie Betts and David Ortiz look to be in line to earn an All Star Game start. Each player has an average above .290, Ortiz leads the league in RBI, Bogaerts has one of the top averages in the league, and Ortiz, JBJ and Betts have a combined 47 dingers, each of them with at least 13. Bradley and Bogaerts are the top 2 players in hitting streaks this season, and Betts and Papi also had hitting streaks 8 games or greater at one point or another. The Red Sox could be in for a big All Star Game, and it’s well deserved. There are 5 days left to vote, so Red Sox fans still have a chance to maintain this or make it better. When Joe Kelly returns from his groin injury, it may be as a reliever. Kelly was sent down to Pawtucket after a terrible start, and injured his groin in his first start there! Kelly’s recovery is going slowly, but he could be in line to return to the major league level. 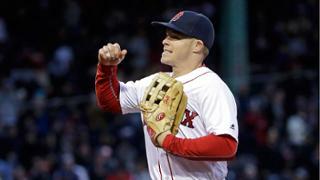 He hasn’t done anything yet to prove he’s worth another start, but the Red Sox are lacking bullpen depth, and Kelly could be the guy to help, as he has proven to be decent in short periods of time. Meanwhile, the 5th spot has been occupied by Clay Buchholz. Roenis Elias did terrible in the one chance he got, so Buchholz had his chance to prove himself once again. Buchholz was shaky last week, but will get another chance today. The Red Sox could look for an elite pitcher after a June Swoon. They have shown interest in Julio Teheran, but do they have the prospects to give? They may be willing to let go of a top prospect, as even David Price, Steven Wright and E-Rod have had rough times. That’s all for my column this week. Do you ant more Red Sox analysis? Check out my game recaps, and coming soon, I will have a Red Sox Trade Deadline Preview. Welcome to the start of my weekly American Ninja Warrior column. I know, I know, I started late, but this is something new I’m trying, and I just want to experiment with it and try something new. Well, let’s get started with some of last night’s best runs. Nate Burkhalter came in with a ton of enthusiasm and it paid off! He was the first person to get past the Bar Hop and finish the course, and finished the course in under 3 minutes! This guy was waiting in the walk-on line for 2 years, and he got it done. The rookie even had the audience chanting, “Go, Nate” after a stellar performance on the Tire Swing, a puzzling obstacle that ended the night for many. I’m looking forward to seeing him take on the city finals. Kyle Mendoza, known as the Fedex Ninja, not only is one of Fedex’s fastest delivery guys, but finished the course with a Top 5 time. He also has parkour videos that have thousands of views. Despite getting stuck at the Ring Swing and Bar Hop’s dismounts, Mendoza flew through the course like Tarzan, and did 3 flips at different points in the course to top off his performance. Artis Thompson III had an inspiring story. He lost his leg in a motorcycle accident, and his brother died in one! But he proved that adversity does not mean that you are weak. The crowd went crazy for this guy as he dominated the course, until he became the Tire Swing’s next victim. Brian Beckstrand is known for his 40 obstacle course in his backyard, and all that backyard training paid off. His whole family is obsessed with the show, and training is a family affair. A father of five kids, Beckstrand managed to finish the course. Guess all that backyard training with his family did pay off. Allison Toepperwein may have finished last on the course, but she showed many that Parkinson’s Disease can be overcome. She had plenty of fans, and inspired many with the disease. Sam Sann had a good run going, but was a victim of the Tire Swing. Unfortunately, the 49 year old veteran, one of the oldest people to make it up the Warped Wall did not make it to the city finals. Jon Stewart, another older ninja, looked sharp as ever after losing 2015 to an injury on the other hand. The 54-year old finished in 13th place of 15 finishers. This is amazing considering Stewart was the oldest on the course last night. I’m a big fan of him. Thomas Stillings flew through a complicated course and in less than 2 minutes! He made it to Stage 2 last year, but right now he looks like a candidate to be the third person ever to become an American Ninja Warrior. He had funny looking genie pants that were like good luck to him, and it worked. Daniel Gil was ready to conquer the course as a vet for the first time, and he ended up looking like one. The 23 year old was just seconds away from the top time of the night, and had an amazing, efficient and quick run through the course. He was in good hands, Sam Sann was his training partner, and he’s done amazing things as well. Kacy Catanzaro was ready to return to her 2014 form, but a recent break-up with fellow training partner Brent Steffensen has held her back. Catanzaro got stuck on the Log Runner, and she will not be at the Oklahoma City Finals. Lance Pekus was coming off a record-breaking season. The Cowboy Ninja had a lot of anticipation coming into the course. However, on the log runner, he got stuck on the last one, and ended up missing the dismount and falling in the water. Pekus will not be in the city finals and hopes to bounce back next year. I’m sorry, but this has to go to Daniel Gil. The second year ninja was just seconds away from the top run of the night, and was so nimble that he looked like he had just became the first American Ninja Warrior and won the prize. This guy is on to something, and if he keeps it up, he could be the next Isaac Caldiero, Brian Arnold or Brent Steffensen. Could Gil follow Isaac Calidero and Geoff Britten’s 2015 footsteps? Next week, we will see ninja legends Joe Moravsky, Geoff Britten, Jamie Rahn and Michelle Warnky in the Philly qualifier? Who will thrive and who will fail, next week, on American Ninja Warrior? Welcome to my first MLB monthly ranks of the year. I didn’t do these in April because it was too early in the season, but it’s better to start late than never. My power rankings combine trends, records and predictions to rank all 30 teams. Hope you enjoy! Note: These power rankings are up to date as of May 31, 2016. I knew the off season would pay off. This team has been on fire all season long! The additions of Jason Heyward and Ben Zobrist have made a big impact on an already strong team. This team broke out last year and just keeps getting better. Their lineup has become very powerful. Young driving forces like Kris Bryant, Jorge Soler and Addison Russell are joined by powerful veterans like Anthony Rizzo. But it’s not just the lineup. The Cubbies pitching staff leads the league in ERA, wins, WHIP and average allowed. I don’t see any reason why this team shouldn’t be #1. They have the best record, they have the stats, they’re just having an amazing season. I’m very impressed by my Red Sox this month. JBJ and Xander Bogaerts now have the two longest hitting streaks all season. During those hitting streaks, the Red Sox offense took the league lead in batting average, runs, hits, slugging percentage and OPS. Xander Bogaerts is batting a whopping .354, Big Papi is hitting .337 with 14 dingers and Jackie Bradley Jr. now has a .331 average. JBJ barely hit over .200 last year! In total, nearly half the Red Sox lineup is batting over .300. Big Papi leads the league in RBI and is tied for 5th in home runs. This lineup really took off in May, the Sox just need to make sure their rotation can save them when TE lineup has a rough day. This is another red hot team of May. The young rotation have the Mets at a combined 3.19 ERA and 1.20 WHIP. the lineup has been impressive as well. Yoenis Cespedes has led the Mets to being tied for the league lead in homers. Even with Lucas Duda and Daniel Murphy (permanently) gone from the lineup, it has still thrived. The Mets are in a tight race in the division with the Nationals, but no matter what, they look to be headed for the playoffs as this young team is consistently competitive. The Nats have finally lived up to their expectations this year. An early tart definitely helps. The rotation is doing very well. They lead the league in strikeouts and are in the top 3 for WHIP, BAA and ERA. Three Nats starters have an under 3.00 ERA. Daniel Murphy also picked up right where he left off last October and now leads the league in batting average. Bryce Harper also is in the competition for league leader in home runs, with 13 dingers so far. They will have competition in the division with the Mets chasing them down every corner, but so far they have proven that they can keep up. This is another hot team of late! This team is led by a trio of amazing starters. The Giants revamped the rotation in the off season, and it worked all right! At 6-2, Madison Bumgarner is still leading the rotation well, but they now have extra depth with quality starters Johnny Cueto (8-1) and Jeff Samardzija (7-3). All three of them have ERAs between 2.10 and 2.90, two of them under 2.50. The lineup has also thrived, and not just Buster Posey. Hunter Pence has had a strong year so far, batting .304, and Brandon Belt has also had some good stretches. If this team can keep things up, they could have their fourth even year World Series in a row. After all these years in the shadows, the Mariners have finally proven to be a playoff competitor. King Felix and a young, revamped rotation with intriguing guys like Taijuan Walker have finally taken the leap. The Mariners have a combined 3.36 ERA and 1.19 WHIP with a .232 BAA. Robinson Cano has also been a deciding factor, and leads the league in homers (tied with 3 others) at 15. He is behind only David Ortiz in RBI. Cano is even batting .293/.345/.585, and average is not his specialty. Nelson Cruz has also stayed strong and relevant. The Mariners are finally in the competition this year as I predicted. They have a young, balanced roster that can do great things. This team had such a strong start, and even though they have tapered off a bit in May, you still can’t count them out. In the Orioles unexpected strong start, Mark Trumbo and Manny Machado got started on amazing seasons, and they have thrived in May as well. Surprise playmaker Joey Rickard has built off an amazing spring training. Even with Trumbo and Rickard hot, Machado still leads the team in hitting, batting .311/.387/.611. Machado has 13 dingers and Trumbo has 15, tied for the league lead. Their rotation has been the issue in May. Key starter Yovani Gallardo, added this off-season is hurt, making the rotation once again unstable. Chris Tillman has bounced back well, but they have struggled otherwise. However, in the end they have stayed competitive throughout the season and I believe they will continue to do that. Injuries and all, this team has still been able to keep things up. Shin-Soo Choo and Josh Hamilton are still out, but young outfielders Nomar Mazara and Joey Gallo have taken their places, and Mazara is hitting .309! Yu Darvish just returned, and he looks good as ever. Wins have been tough in Texas but as a team, they have been able to stay strong, keep up with the AL West and thrive. Usually, the Rangers have either a cold start or collapse late. Right now, it looks like neither will happen as long as they continue getting healthier. The White Sox have definitely been on a downtrend, but after such a good start, you can’t underestimate them. The rotation is still strong, young Jose Quintana is in her prime and Chris Sale is still pitching at Cy Young level. Todd Frazier is tied for league lead in homers at 15. However, the rest of the lineup has began to slump this month. They had a really good run in April, but now, their strength is starting to taper off. Sure, Adam Eaton has kept a decent average, but nobody has hit well in this month particularly. Still, you can’t count strong April teams out, even teams like the White Sox and Reds. The Indians started slow, but have really kept up with the division this month. Young hitters Francisco Lindor and Jose Ramirez have heated up. Veterans like Jason Kipnis, Carlos Santana and even Mike Napoli have had strong months. Each of them have a low average, but a good amount of dingers and RBIs, resulting in a decent slugging percentage. Their rotation has also had a good month, even without Carlos Carrasco. Danny Salazar has been pitching well consistently and Corey Kluber and Josh Tomlin have also contributed. In the end, the Indians could be playoff-worthy if they keep up this level of play. This team has been surging forward lately after a rough start. The lineup has been on fire. Josh Harrison, Starling Marte and Gregory Polanco are all hitting .310 or higher. Polanco has 36 RBI, Andrew McCutchen has 9 dingers and Marte has a whopping 17 stolen bases! Despite rotation struggles, this team has functioned due to a powerful lineup consisting of Josh Harrison and a great outfield in Andrew McCutchen, Starling Marte and Gregory Polanco. The Dodgers aren’t as sharp as usual, but they’re still doing alright. The rotation is successful as ever. Clayton Kershaw, tied with Jake Arrieta, leads the league in ERA. He also leads in strikeouts, WHIP and innings pitched alone. He is in a 4-way tie for most complete games. Kenta Maeda as also been serviceable. Between many ups and downs, Maeda has exactly a 3.00 ERA. However, the bullpen has struggled, and besides Adrian Gonzalez and Corey Seager (neither has a .300 BA or 10 homers), they aren’t hitting. The Royals aren’t in great shape. Mike Moustakas is out for the season, Alex Gordon is hurt (again!) and the lineup has had a lot of general road blocks. However, young risers Cheslor Cuthbert, Whit Merrifield, Paulo Orlando and Jarrod Dyson have stepped up, and the Royals still have Eric Hosmer, Alcides Escobar, Salvador Perez and Lorenzo Cain. In fact, Hosmer has a .328 AVG, chasing the league best. He also has 10 dingers and 35 RBIs. Lorenzo Cain has stayed hot from the postseason as well, similarly to Daniel Murphy of the Washington Nationals. However, pitching has once again been a major problem. The Royals have again struggled to find an ace with Johnny Cueto gone. Yes, Yordano Ventura and Edinson Volquez have still shown the qualities, but are too inconsistent. Right now, them along with Ian Kennedy and the rest of the rotation have seriously slumped, and we haven’t seen anything from Volquez or Ventura. Ventura even has a whopping 5.17 ERA! The Royals are lucky the bullpen has stayed strong and found a new dependable closer. Sure, the Astros have been pretty sloppy this season, but they are a good team. I’m sure they can come back, and they’ve already shown signs of surging forward. Jose Altuve has been on fire, batting .329 and stealing 15 bases while scoring 42 runs. George Springer also has 13 dingers, 34 RBI and a .290 average. Even Colby Rasmus has had some hot stretches, with 8 homers and 31 RBI. The lineup is still in shape, but the rotation has been a mess! The lowest ERA in the rotation belongs to Doug Fister at 3.86, and nobody has more than 5 wins. Despite 64 strikeouts, Dallas Keuchel has been terrible following a Cy Young award, the second straight Cy Young surprise to do so. If this rotation doesn’t step it up, this team won’t be able to surge any further. But if they pull it together, the ‘Stros could make a comeback. At the start of the season, it was looking to be like last year. Minimal pitching, strong hitting. But analysts were wrong. The rotation has been solid, while the lineup has been good, but inconsistent. The best guys like Jose Bautista, Josh Donaldson and Edwin Encarnacion are still playing decent baseball, and Michael Saunders is warming up, but nobody is at their normal level of play. The rotation on the other hand, has been surprisingly strong. Marco Estrada (2.43 ERA) and Aaron Sanchez (2.99 ERA) have been spot-on, with ERAs under 3.00, and even with top guys Marcus Stroman and R.A. Dickey struggling, once borderline starter J.A. Happ has put up a whopping 3.06 ERA. The Blue Jays could start to catch up with the top of the AL East, but they need their best lineup weapons back on track. This team may be struggling, but they do have some impactful players. Victor Martinez is on fire, batting .347/.390/.551. Nick Castellanos, Ian Kinsler and Miguel Cabrera also have above .300 batting averages and J.D. Martinez and Miggy have 12 dingers apiece. Plus, Jordan Zimmermann still has a 2.58 ERA after starting the year with an impressive stretch where he had a 0.00 ERA. However, the rest of the rotation has also been in decline, for them more serious than J-Zimm. Justin Verlander may have 77 strikeouts, but besides him and Zimmermann, the rotation has really fallen asleep this month. Even the lineup saw more of its production in April. Are this team’s best players only going to get less productive as the months go by? For so many seasons, the Cardinals were in playoff contention. What happened this year? Well, for starters, the rotation is a man down with Lance Lynn out for the season while recovering from off season Tommy John surgery. Jaime Garcia wasn’t even expected to be at regular starter level. But really, even though Garcia has a 3.48 ERA, the rest of the rotation was worse! The rotation is worsening significantly! The lineup is also led by surprising players. Only Aledmys Diaz and Stephen Piscotty have averages over .300! The reason that the Cards are struggling is that the only players are still performing are the unexpectedly good players, and they’ve only been slightly above replacement level! They’re missing production from their best stars, and that’s making a huge impact, causing St. Louis to go from playoff contender to .500 team. The Marlins may have improved overall, but now they’re stuck in mediocrity. Who has impacted the improvement? For one thing, Christian Yelich and Marcell Ozuna have hit as well as if not better than fellow outfielder Giancarlo Stanton. Stanton still has 12 home runs, but Yelich is batting .328 with 5 dingers and Ozuna is batting .314 with 11 dingers. Stanton has an average of just .202! Even if the rest of the rotation has struggled, Jose Fernandez is right on his game! Fernandez is 9-2 with a 2.29 ERA, 110 K, 74.2 IP and a 1.06 WHIP. Those are some under the radar numbers. However, nobody else in the rotation has an ERA below 3.50 or even 5 wins! The rest of the rotation is doing even poorly than last year. That never helps in a resurgence. How is this team performing? The rotation clearly isn’t doing anything to help. Most likely, it’s a boost from the lineup. After an unbelievable April, Trevor Story and Nolan Arenado are still on their game. Carlos Gonzalez and Charlie Blackmon have upped their averages as additional help. Even DJ LeMahieu and Mark Reynolds have boosted their power. All of that plus 18 dingers from Arenado and 15 from Story. What will even happen to Jose Reyes when he returns? Story pretty much locked up the job for the season. Arenado is tied for the best in the league in homers. Arenado has 47 RBI and 42 runs to add to it. Tyler Chatwood even has an under 3.00 ERA right now, even with the rest of the pitching staff doing foolishly bad. They may be nearing the Yankees and Jays, but recovery from their slump will be tougher for them than the Blue Jays and Yankees. With 14 homers and a .281 average, Evan Longoria is the only major power source in this lineup. Like the rest of the division, even the once all-powerful league leading rotation is struggling! Nobody has an ERA lower than 3.33, and only Drew Smyly has 70+ Ks. So, between injuries, slumping players, an underperforming rotation and holes in the lineup, the Rays are stuck in a pretty ugly position. I don’t know how the Phillies have kept up with the MLB this well, but what matters is they have. This team is above .500 for the first time in 3-4 years! Aaron Nola is suddenly a rotation leader. He has a 2.65 ERA, 85 strikeouts and an 0.99 WHIP! Some other pitchers have been on top of things as well. Vincent Velasquez has been a quality starter even though he just transferred to the starter position, and Jeanmar Gomez has 18 saves as the new closer. Even some hitters have performed, at least serviceably. Odubel Herrera is hitting .317/.426/.436, and Maikel Franco has 10 dingers and 31 RBI. The Brewers definitely look better this season. For one thing, unexpected lineup sources have made the leap this season. Jonathan Villar is hitting .307 with a league leading 21 stolen bases and 31 runs. Chris Carter has bounced back with 14 dingers and 34 RBI. Some lineup vets have also stayed on track. Ryan Braun is hitting .337/.406/.552 with 9 homers and a .959 OPS. Jonathan Lucroy is hitting just above .300. However, the rotation is business as usual. Only Jimmy Nelson has an ERA even below 4.00! Nobody has 70 strikeouts, a 1.10 WHIP or more than 5 wins either. This lineup may be turning it around, but the rotation’s bad reputation is holding this team back. Better roster, not going to cut it. Better stats, not going to cut it. What will at this point? Some better overall team effort. Matt Kemp may have his 14 homers and 41 RBI, Jon Jay and Wil Myers may be able to hit for average, but as a team, the Padres aren’t functioning. Although the best Padres players are thriving, the rest of the team has failed to produce. Piling up on prospects after trading James Shields and James Loney may help for the future, but for now, the Padres need to find a different solution. Everyone on the roster needs to find a way to contribute. It seems as if the Diamondbacks have bounced back. Their stats are up, their young players are contributing as expected, and things look to be going as planned for the most part. Then I saw their record and had no idea how they let that happen. You might be wondering too after all that. Well, I have answers. Jean Segura may have been hot in May, but right now, it seems to be a quick moving fad, as he has seriously declined late in the month. Robbie Ray may have 72 K and Zack Greinke may be 7-3 with 71 K, but otherwise, the rotation has severely struggled. Again, it seems as if they’re fine, but really, they’re not producing consistently enough. Also, A.J. Pollock is hurt, and besides well known veteran Paul Goldschmidt and Jake Lamb, the lineup has only been mediocre. In fact, everyone on the team has an average between .200 and .300. Now that really shows that when it comes to mediocrity, this lineup is at rock bottom. This team’s record is decent, but they aren’t in the best shape. Carlos Beltran may have 14 home runs and 36 RBI, but nobody has a .300+ average and nobody else has more than 8 homers or 24 RBI. This team hasn’t hit for power or average. The rotation? They’ve been alright, but inconsistent. Some pitchers are by far more dependable than others. Masahiro Tanaka and Nathan Eovaldi have stayed strong, but TE remainder of the rotation has not been good news. This team has been decent has a team, but needs some players to make the leap or return to the star form they once held, or this team is going to fall apart. Not bad considering the Reds finished last year with most of their stars on the DL and as the 2nd worst team by record. However, almost none of their new and improved performance took place in May. One reason for that is injuries striking back. The Reds lost Homer Bailey long term, and Raisel Iglesias got hurt. The rotation is desperate for depth, there’s not many people left to replace who’s injured. Nobody has an ERA under 3.00. Nobody even had 60 strikeouts or 5 wins! The lineup is gaining form at least. Jay Bruce has 40 RBI and 35 runs and is hitting .279 with 13 dingers, Zack Cozart is hitting .301 with 8 dingers and Eugenio Suarez (13) and Joey Votto (11) each have piled up a good number of home runs. Adam Duvall is chasing the top of the league in homers with 17 of them and 38 RBI. Joey Votto also has 34 RBI and Eugenio Suarez has 33. Billy Hamilton even has 15 stolen bases. So the lineup may be taking shape, but in order for this team to get back on track, the rotation needs to get healthy and get in shape! This team may have an ugly record, but they aren’t as cold as some other teams, giving them a higher rank. However, besides some good run totals, it seems as if the Braves lineup has fallen asleep. The highest average is Freddie Freeman’s measly .248. In the rotation, nobody even has 3 wins and only Julio Teheran (2.92) has an under 3.00 ERA. This team is still one of, if not the worst team in the league normally. But believe it or not, there are teams that were cooler, have a worse record or put even less effort in this month. Even with Sonny Gray back, Rich Hill now could be hurt. Down goes the most valuable A’s pitcher too! The A’s are down to the last straw. If things don’t change fast, they’re done for. Yes, I was expecting the Angels to go far downhill, but this is getting absolutely pathetic. Mike Trout is still doing pretty well, hitting .309 with 13 homers and 43 RBI. Yunel Escobar and Kole Calhoun have contributed too. But I can’t bare watching the rotation! Jered Weaver is a complete bust, and so is Hector Santiago. With C.J. Wilson, Garrett Richards (out for Tommy John surgery) and Andrew Heaney hurt, the Angels are left with just Matt Shoemaker, Nick Tropeano (even he’s hurt now!) and Jhoulys Chacin behind them. When they were at rock bottom, David Huff tried to step in. That hasn’t worked either. So the lineup is still in mediocrity but the rotation doesn’t have anything left to work with as of right now. Alright, this team’s pitching staff still has most of its members healthy, but it’s still pathetic. Nobody has even an ERA under 4.50 or 3 wins! With Kyle Gibson only coming back in time to start June. In May they were left with Ervin Santana, Tyler Duffey and Ricky Nolasco to create a 4-man rotation with one prospect. The Twins had to rush their prospects up to MLB level to maintain a sustainable rotation. The lineup is the only sign of slim hope for the Twins. Eduardo Nunez is batting .332 with 30 RBI, and if Eduardo Escobar were healthy, he wouldn’t even be a starter most likely! Miguel Sano and Byung-Ho Park may have low averages, however, they have 11 dingers apiece, and Sano has 27 RBI. Joe Mauer is hitting .281 with 7 dingers as well. Those are respectable numbers, but compared to the rest of the MLB, come on! Compared to MLB leaders, the Twins lineup is also a big disappointment. If the lineup doesn’t take it up a notch or the rotation doesn’t recover, the Twins aren’t going anywhere. They’ll be 30th best for the rest of the season, no higher, no lower. That wraps up May’s rankings. Be on the lookout for June rankings later this month.